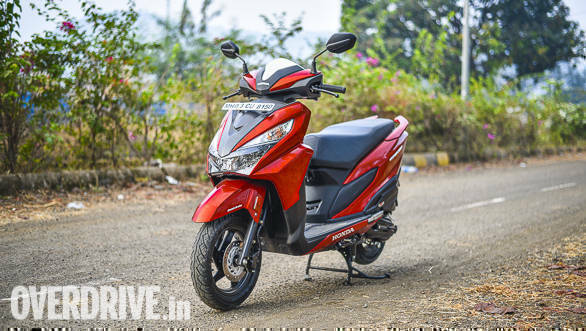 The TVS NTorq125 is latest offering from the manufacturer and is set to take on the Suzuki Access 125 and the Honda Grazia. 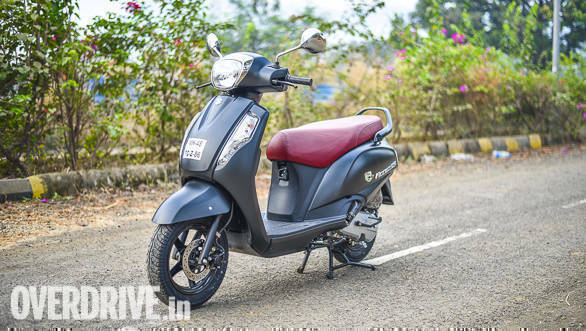 TVS says that the scooter is built around the needs of today's, tech-savvy youth and this reflects in the unique set of features that the NTorq125 is loaded with. Needless to stay, the TVS NTorq has its work cut out as it goes up the established, Suzuki Access 125 and the recently launched, Honda Grazia. The TVS NTorq125 is surely going to make heads turn, thanks to its sharp, edgy styling that also looks proportionate. The Suzuki Access 125 is the polar opposite of the TVS NTorq125. It may look a bit staid in comparison, however, it's clean lines and simple styling should age gracefully. The Honda Grazia lies in between the two, but at the same time looks quite fresh. The NTorq125 takes the cake when it comes to features. The highlight is the digital instrument cluster that displays a wide range of information. Besides speed, you can view engine oil temperature, 0-60kmph time, top speed, average speed and lap timing as well. The TVS NTorq125 also offers Bluetooth connectivity which allows you to pair your phone to the instrument panel, which then displays incoming call details. By means of the TVS NTorq125 Android app, the rider can also be able to view navigation information on the instrument cluster. That's seriously a long list of features. The Suzuki Access 125 has a simple analog speedometer with a digital readout for the odometre. The Honda Grazia has a full- digital instrument cluster as well with a nifty Eco indicator at the top of the cluster. The TVS NTorq125 has the most powerful engine in the segment. It's 124.79cc engine produces 9.4PS at 7, 000rpm and 10. 5Nm at 10, 500 rpm. 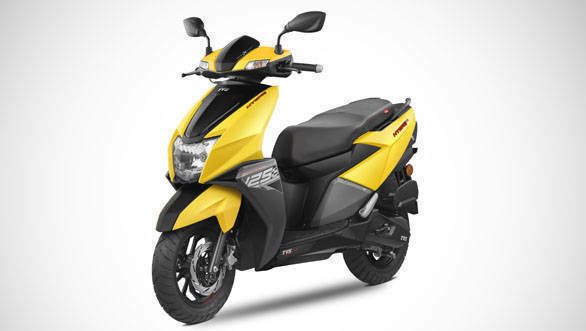 In comparison, the Suzuki Access 125 gets a 125cc engine that develops 8. 7PS at 7, 000rp as well. It, however, makes 0. 5Nm less torque and 500rpm lower than the TVS' motor. The Honda Grazia has the least powerful motor here, making 8. 5PS and 10Nm. While the TVS makes the most power, it is also the heaviest of the lot, at 116kg. We shall bring you a detailed comparison test that'll help us desired which one the fastest. The NTorq125 has the largest boot, at 22-litres while the Access 125 has a litre less than the TVS. The Grazia has the least boot space among the three. While the TVS NTorq125 seems to have an upper hand over the competition on paper, watch out for our detailed comparison test.